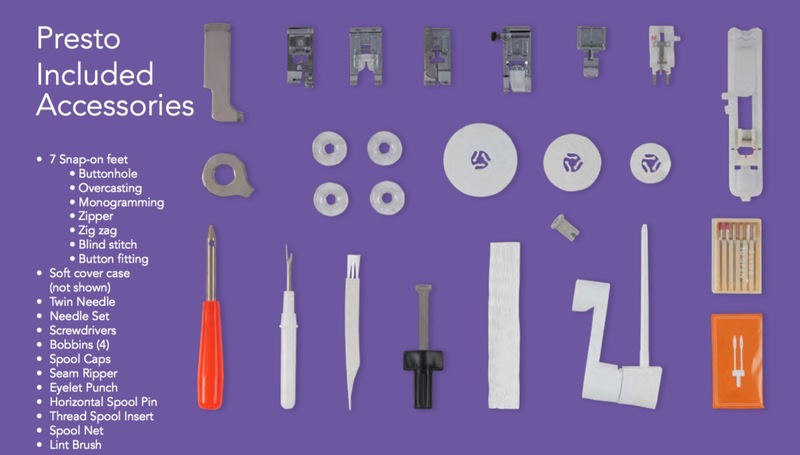 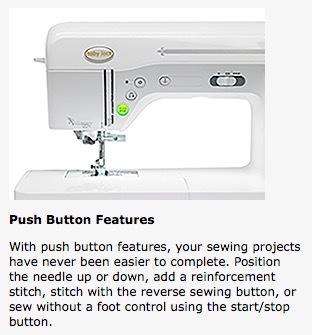 The Baby Lock Presto has 100 built-in stitches to choose from. 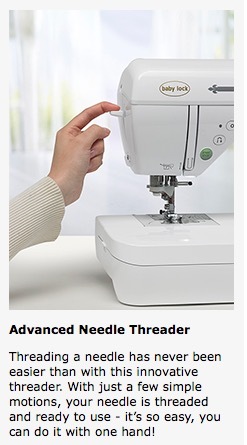 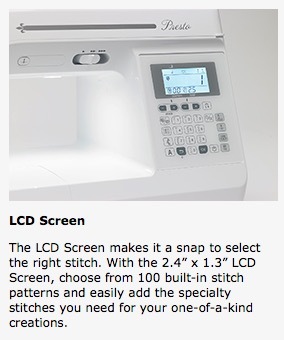 Easy to use features and a bright LCD screen; allowing you to select and adjust stitches in a snap. 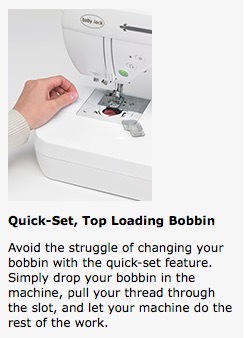 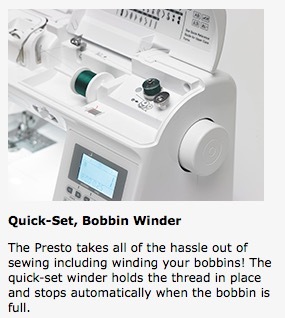 This a quick paced speed sewing machine that lets you zip along at 850 stitch-per-minute pace. 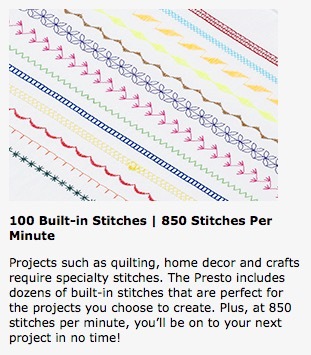 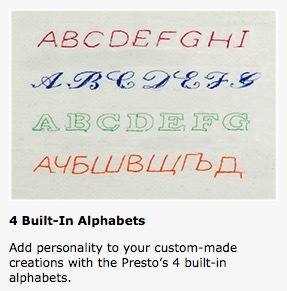 The Presto makes creating your next quilt or other sewing project quick and fun!